Teaching Dental Students That Opioids Aren't The Best Way To Treat Pain : Shots - Health News Opioid painkillers prescribed by dentists have helped fuel the nation's addiction epidemic. Dental schools are teaching the next generation of dentists that there are other ways to treat pain. Dentists are among the larger prescribers of opioid painkillers. They're trying to change that. Indeed, 12 percent of prescriptions for immediate-release opioids are written by dentists. In 2012, dentists ranked fourth among medical specialties for their opioid prescribing rates, according to data from QuintilesIMS. It has made dentists targets for people "doctor shopping" in order to get opioids. "I have dentures," said Shawn Bishop, who is recovering from an opioid addiction at Hope House, a treatment center in Boston. "I had went to get some legitimate work done. And I got some Percocet. I realized that by going to another dentist, I could get some more Percocets." "He would look at our teeth or Mark's teeth in particular," Bishop said. "He would look at his teeth and say, 'Yeah, we need to take this one, this one, and this one.' And Mark will always say, 'Well, I can't do it today. Can we make an appointment for next week?' And then the doctor will say, 'Yeah, I need to write a prescription of Percocets.' He kept bad teeth and toothaches just so he can do that, you know?" "It was almost like they knew their part to play and we knew ours," he said. "It was like actors in a little sketch there." 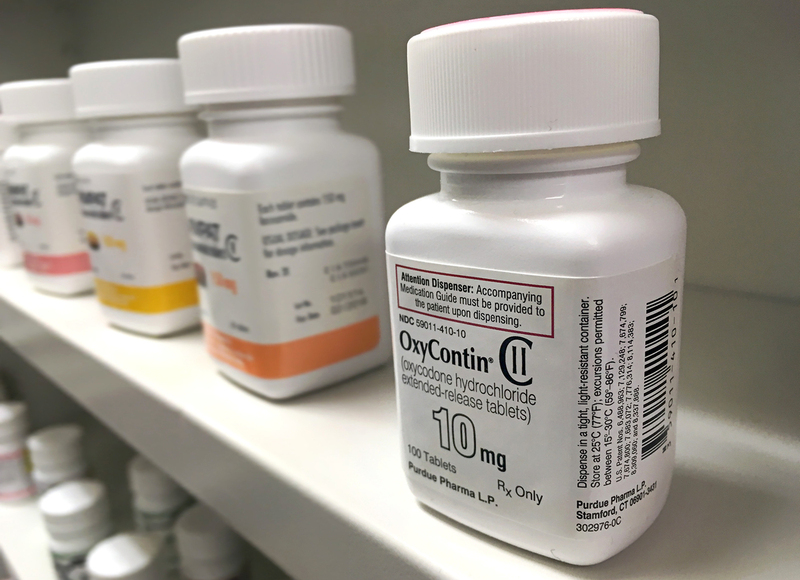 Massachusetts has taken the lead in trying to reduce opioid prescription abuse. Last year, Gov. Charlie Baker's office passed a law to prevent drug misuse. Dental schools in the state are also required to teach a set of core competencies that their students are required to meet before graduating. Students will have to demonstrate that they know how to consider nonopioid treatment options. "At least at the medical school, the dental school, nursing school and pharmacy school level, you don't graduate from those places without having studied this stuff and understanding both the positives and the negatives associated with using it," Baker says. "In addition to that, making sure as a condition of relicensure, you're getting everyone who is writing prescriptions as part of that process." "For most dental pains, the nonsteroidal anti-inflammatory drugs (NSAIDS) --that's Advil, Aleve, Naproxen — those agents are every bit as effective as one Vicodin or one Percocet," Moore says. "That's been shown over and over and over again." 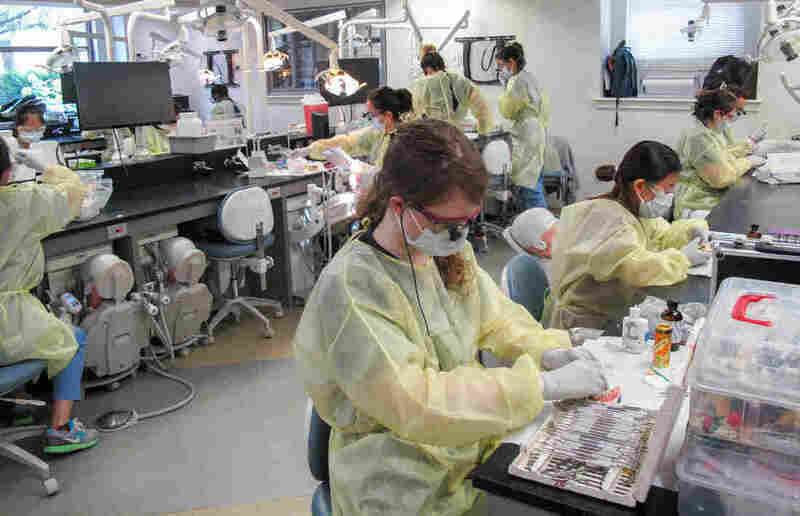 Third-year students at the Harvard School of Dental Medicine learn how to trim crowns and prep a tooth for a crown. They're also learning to deal with the aftereffects, studying alternatives to opioids for pain relief. "You can approach it from opioid therapy, you can approach it from different neuropathy drugs, you can approach from stretching exercises to meditation," says Kellie Moore, a fourth-year dental student at Harvard. "And just kind of like, exhausting all the options." Dental students are also rethinking what the goal of treating pain is. "On a scale of 0 to 10, with 10 being the worst, if we can get you to a 4 or 5, could you live with that and still function daily?" says Sam Lee, a fourth-year dental student. "If the answer is yes, then I think it's important to the patient understand that that's what we're going to try to maintain as the new normal for them." David Keith, an oral surgeon at Massachusetts General Hospital, agrees. "I think it does us a disservice, making us and the patients assume that they should have a total smiley face and a zero level of pain," he said. "That's not the real world. So we take a tooth out. We do a dental implant. You're going to be sore for a few days, but that doesn't mean you can't go to work." 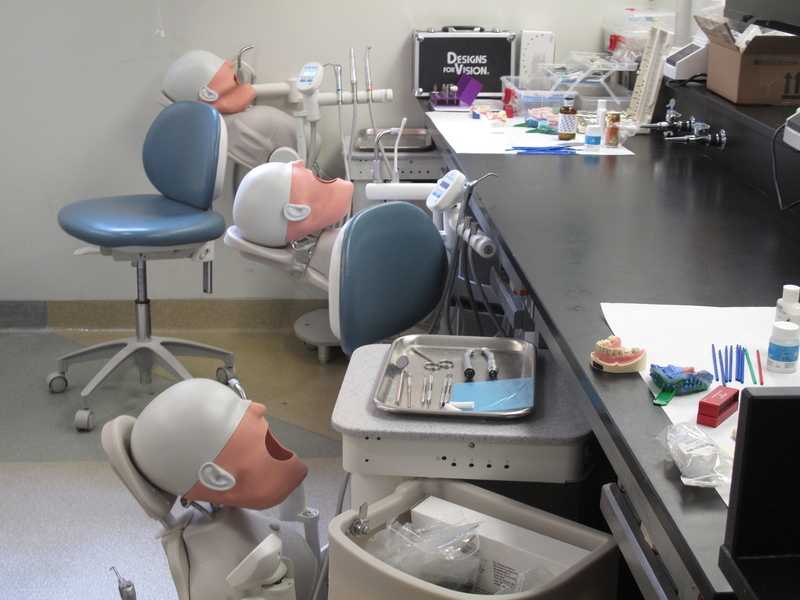 Mannequin patients are stationed at the Harvard School of Dental Medicine's Preclinical Lab, ready to have their teeth restored with crowns by a class of third-year dental students. "Dentistry is part of the problem and I think that hurts — that we've been overprescribing medication," he says. "Having a standard regimen to give every patient is not appropriate." "There is a reluctance to add that, as there is reluctance to check blood pressure or check a list of medication their patients are on because it adds time to the day," he said.